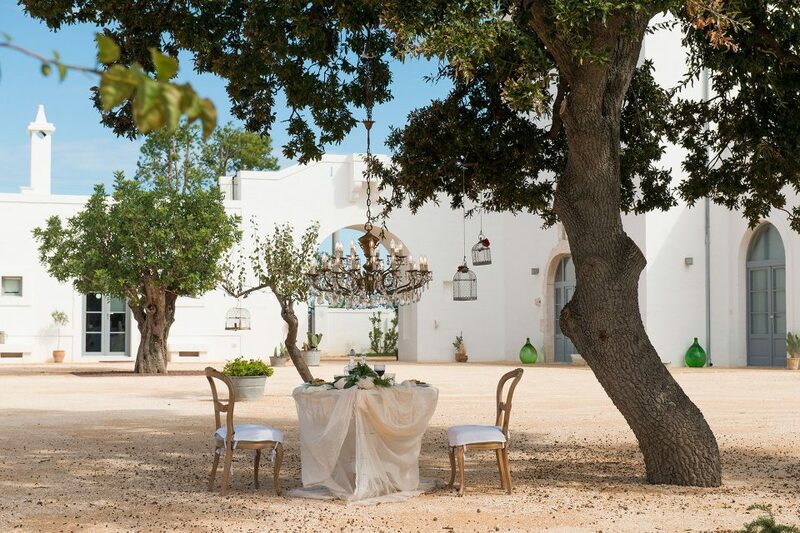 A dazzling white flowing in your eyes, the beauty of olive oil trees that mean Apulia and a property that really fits in this natural context. 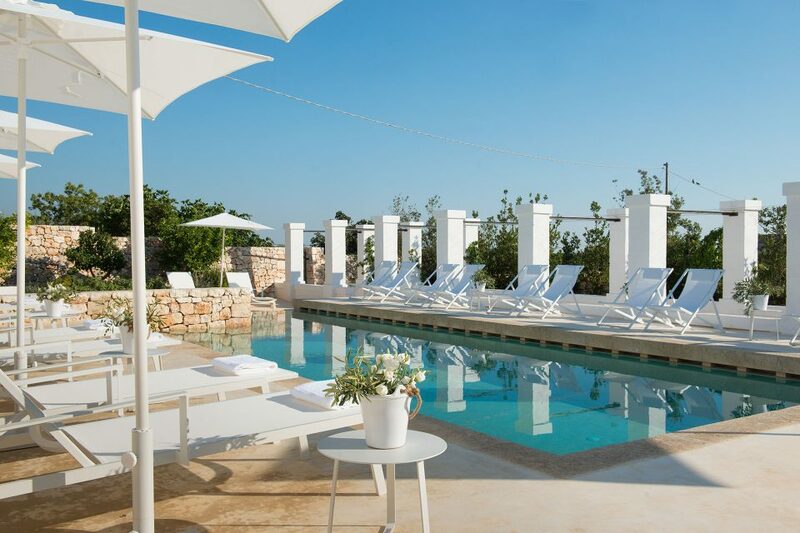 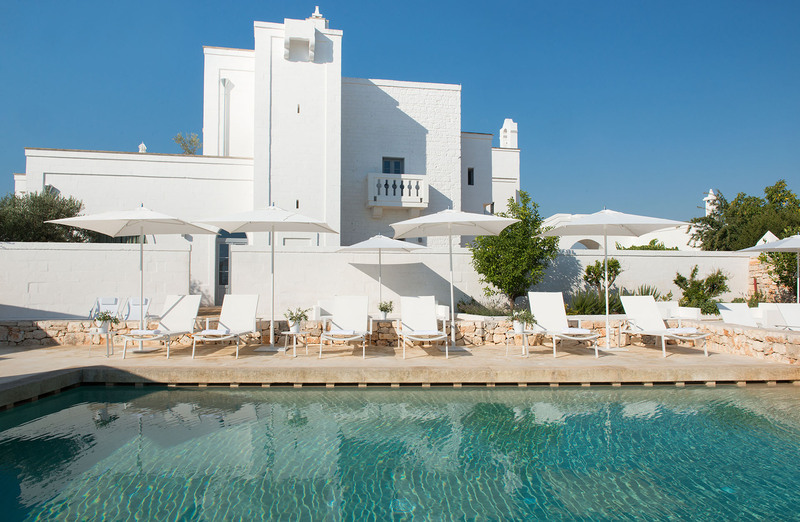 The elegance that reflects Masseria Le Torri shows itself off with its unique style – travelers are welcomed with the Southern sense of hospitality. 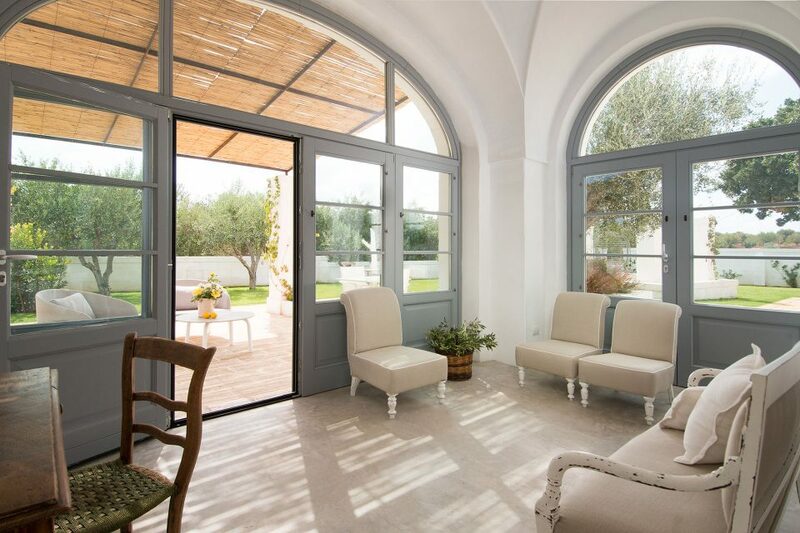 From a careful and mindful restoration project, an enchanting structure has come out , in honor to the owner’s spirit, Mr. Mimmo Pugliese, and his desire to return back to the origins, bringing back to life the farm he used to live in when he was a child. 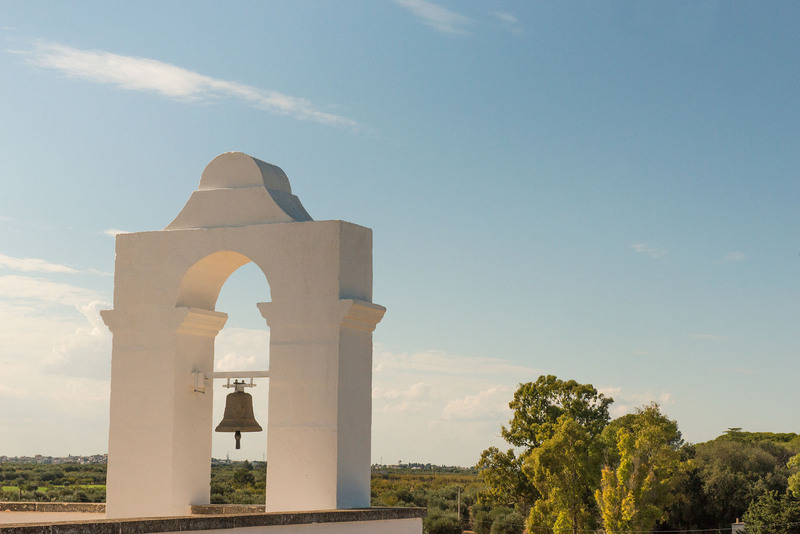 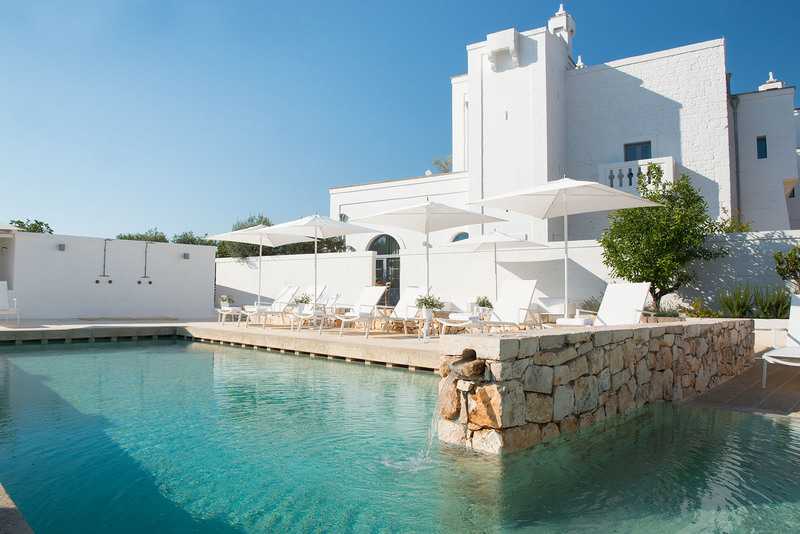 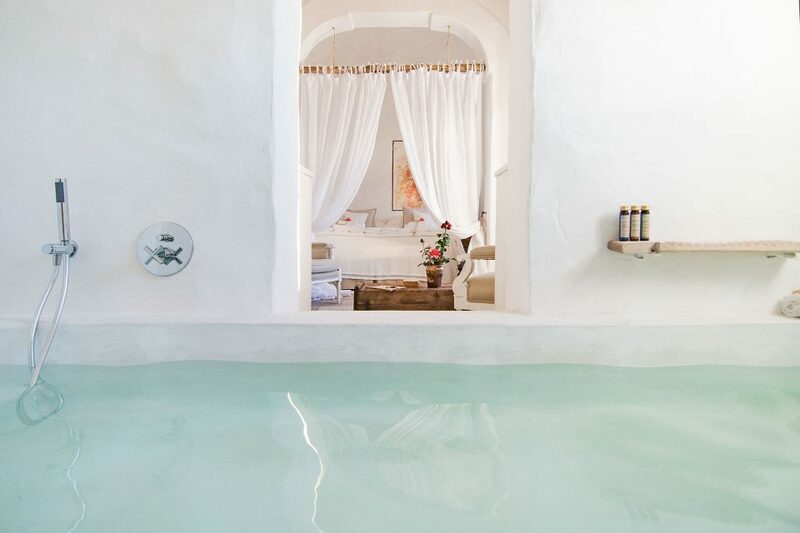 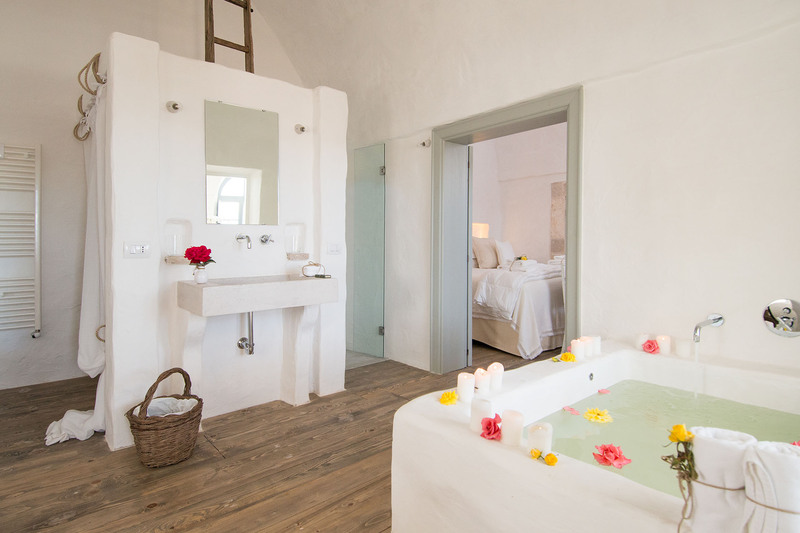 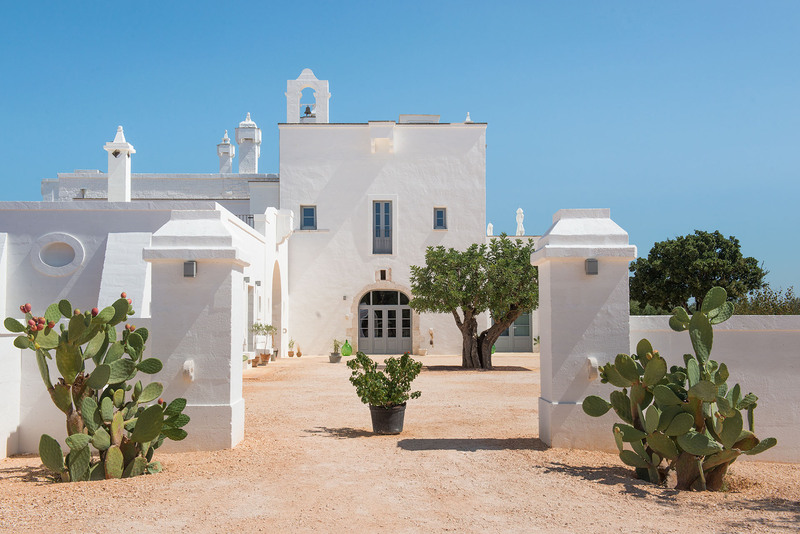 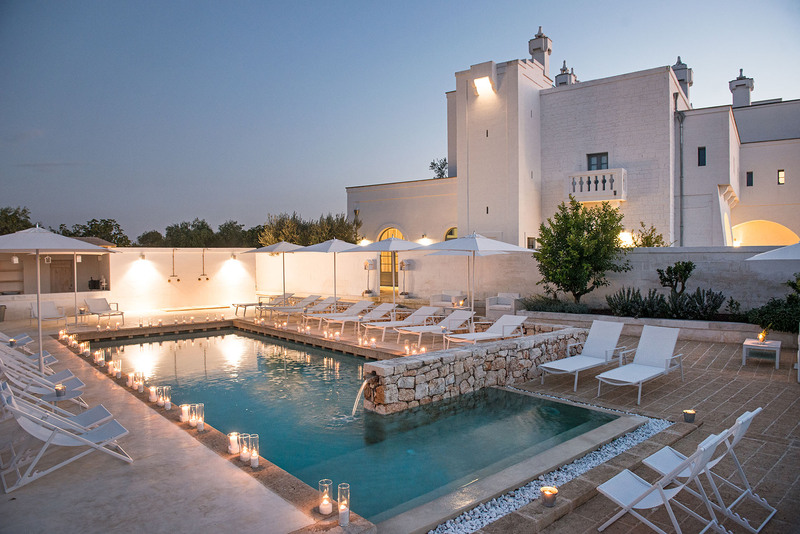 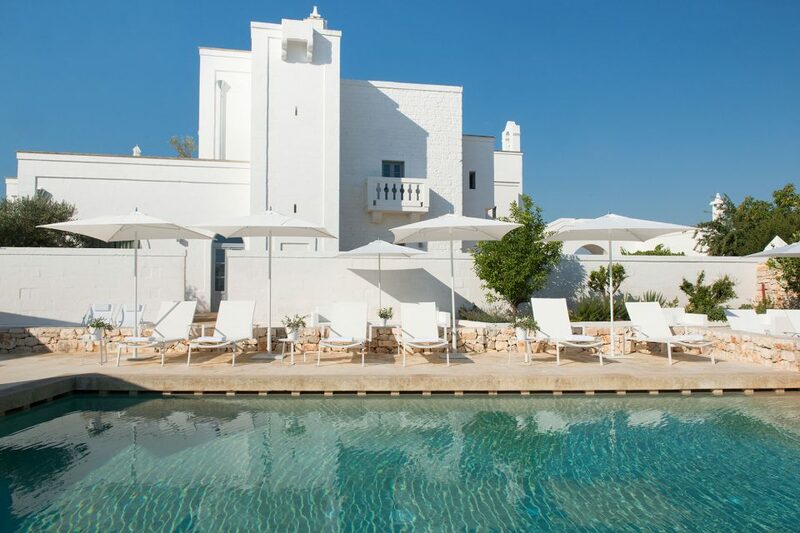 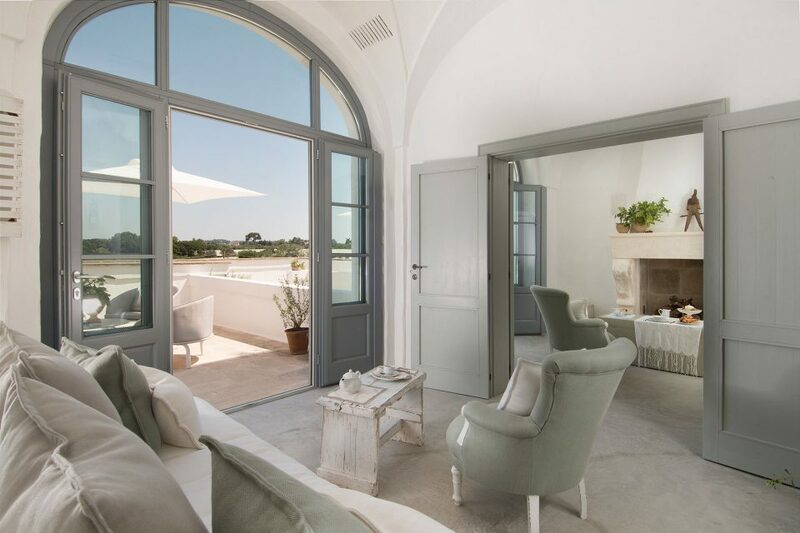 Renovated, the Masseria back at its eighteenth-century splendor, doors are now open to those who will appreciate it, enjoying the comfort and serenity that can be experienced in a setting of stones, lime and extreme purity of shapes. 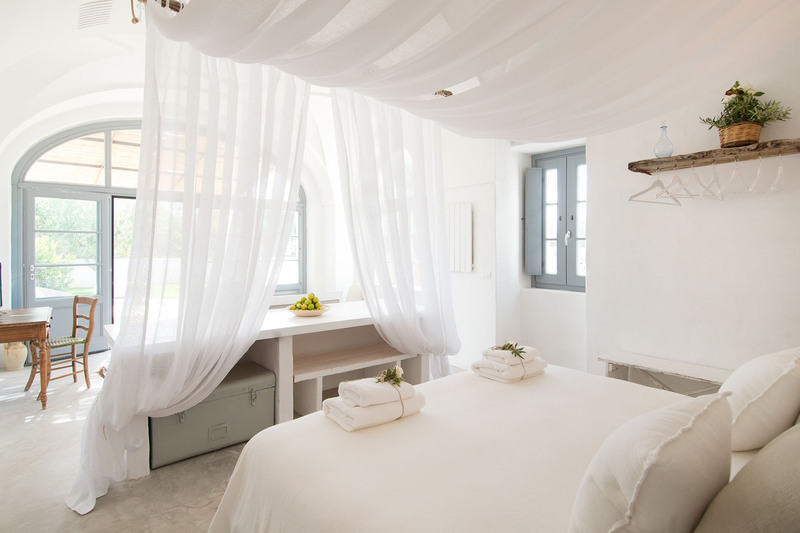 Transparent and light fabrics, special chandeliers and soft sheets give the rooms the no time beauty of a perfect place for resting and relaxation. 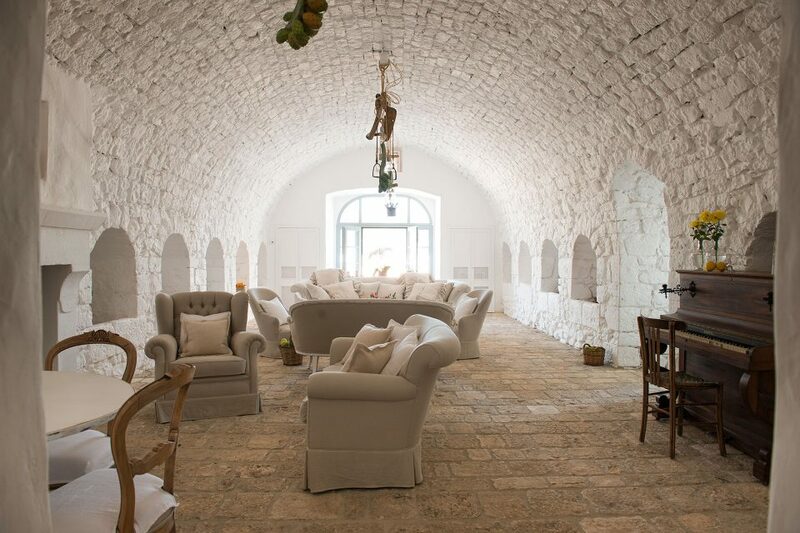 A combination of natural wood and stone, white and cream – a touch of further refinement. 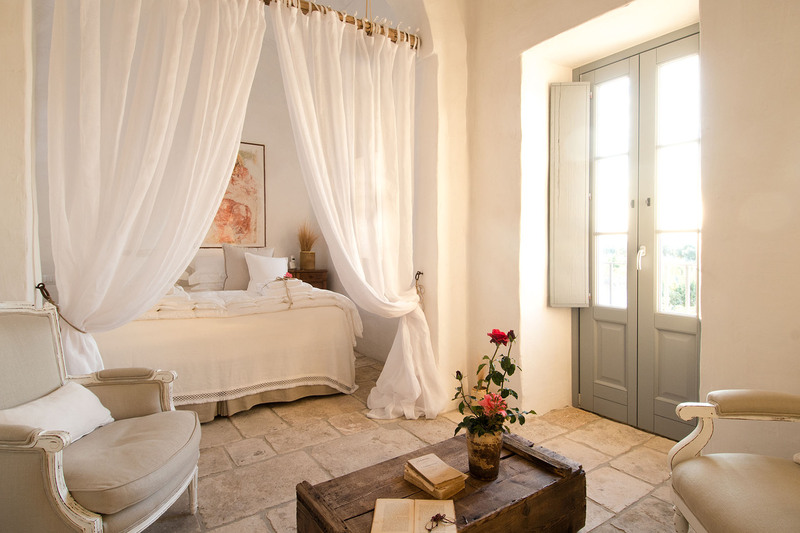 Each suite is unique from the selection of some objects that feature each space: like an open book, with a red rose as a bookmark, or old doors that lose their original function to marry the new one –bed headboards. 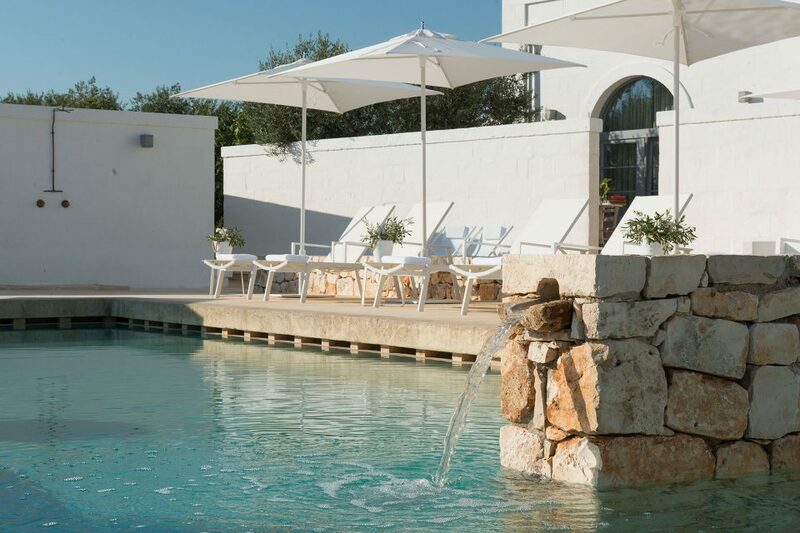 An outdoor swimming pool will surprise you – lie back then, on deckchairs or sun loungers and catch the rays of the sun that never sleeps, let yourself be tempted by the delicacies of our coffee bar where you can enjoy fresh drinks and light lunches. 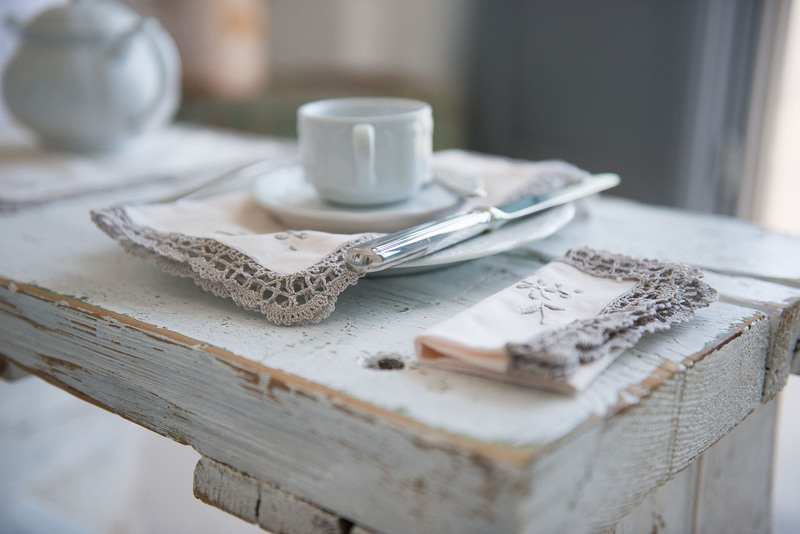 In the morning, at breakfast, your awakening will be full of history and nature – where you taste fresh pies and croissants now, almonds were spread out dry long time ago. Puglia traditions, ways of the rural culture that still live within the walls of this place that wants us to make you taste the genuineness and the simplicity of our local cuisine. Refined spaces, enriched with frescoes, rustic thubs, ancient pavements, some feature wooden profiles. 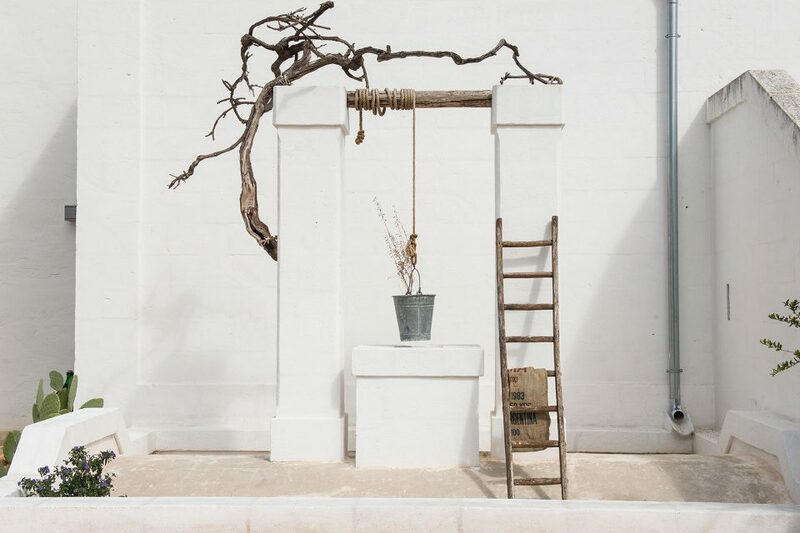 A rural spirit charachterises these ambients, with the use of pure lime and particular details in which times seems has stopped. 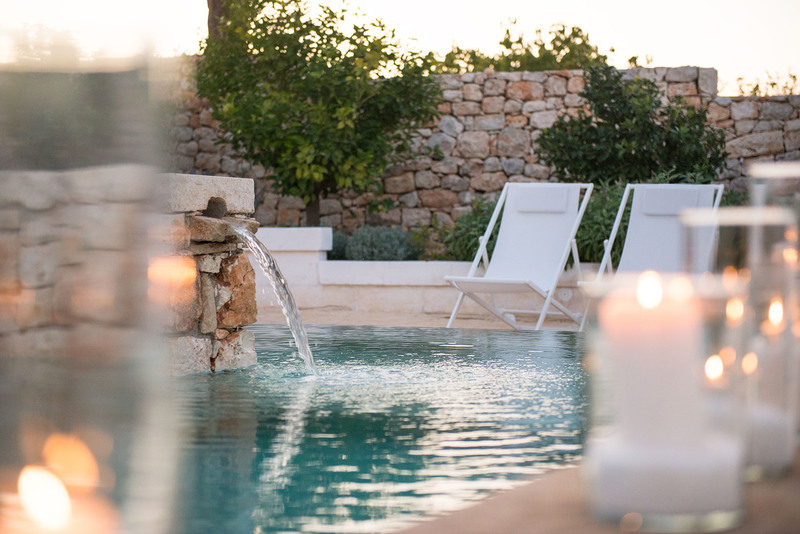 Click here to access to our online reception!